For us at Bournemouth University, one of the most important parts of producing excellent research is developing projects that address challenges within industries. By working together and identifying issues where research can make a difference, we can ultimately create something that is beneficial both to the community and to BU. Post-mortems are an essential part of the investigative process after someone has died in suspicious circumstances, usually performed to establish cause of death. Definitively proving time of death later is extremely difficult. By using blowflies and sometimes other insects, forensic entomologists can provide an estimated window of time in which someone is likely to have died. This is calculated by estimating the amount of time since eggs were first laid, which approximates (sometimes quite closely) the time of death. Such insect derived time is known as the minimum post-mortem interval (PMImin). A new knowledge exchange project at Bournemouth University is aiming to develop an industry standard designed to make identifying time of death much more reliable by establishing a standard culturing protocol for rearing blowflies in the laboratory. Dr Andrew Whittington, Senior Lecturer in Forensic Science, is leading the new project. “One of the ways that forensic experts can establish the time of death is by studying the lifecycle of insects that may be present on the body. Blowflies, for example, are often used as they start to lay eggs very soon after death,” explains Dr Whittington. “The challenge with this is that there isn’t an industry standard that helps us to understand the lifecycle of blowflies and they can grow at very different rates according to the type of species and where they are in the world. Dr Whittington began to establish a benchmark for the lifecyle of blowflies through collecting samples from non-suspicious deaths. In these cases, the time of death was known, which enabled the team to pinpoint different stages of the lifecycle. Higher Education Innovation Funding (HEIF) will enable Dr Whittington to expand this by creating lab based experiments using blood agar as a rearing medium. “At the moment, everyone is using a different procedure and different conditions, which leads to very different results. The idea behind creating a standardised industry protocol to be used in the laboratory which can establish the lifecycle of a particular species of blowfly, is that we would then have comparative conditions that can be used anywhere in the world. Dorset and Hampshire are rich in natural beauty and sites of archaeological importance. Within both counties, there are organisations dedicated to either biodiversity conservation or preserving areas of historical importance, but rarely both. Dr Phillipa Gillingham, Senior Lecturer in Biogeography, will be working with BU students and local organisations to change this and use their collective knowledge to preserve areas of natural beauty and historical importance. One of the key aspects of the project is the opportunity to bring together different local organisations as a means of sharing knowledge and building new relationships. 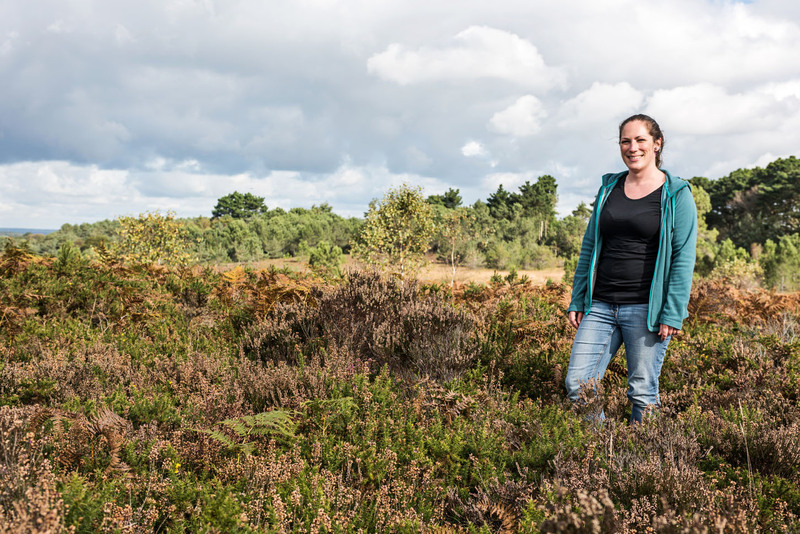 “We’re working with an archaeologist from the New Forest National Park Authority and an ecologist from the National Trust, who manage land locally for both cultural heritage and biodiversity. We’re also working with the Dorset Wildlife Trust and the Royal Society for the Protection of Birds (RSPB). We hope that the knowledge we develop will be of real benefit to them,” says Dr Gillingham. “For example, the National Trust over at Purbeck have some excellent ecologists who do a great a job of conserving the area, but they also have a lot of archaeological features in the peatland. They want to look after those too and the advice they gain from this project will help. “We’re starting with a survey of managers to find out how they look after their sites. Later in the year, we’ll be sending out interdisciplinary teams of students to explore the sites and see how well different methods work in practice.